I feel like our new house progress is coming along very slowly. For that reason, I don’t have too much to report – but I’ll post what I can over the next few weeks. Before we moved in our furniture, I went ahead and painted our bedroom and the den to make the process easier. 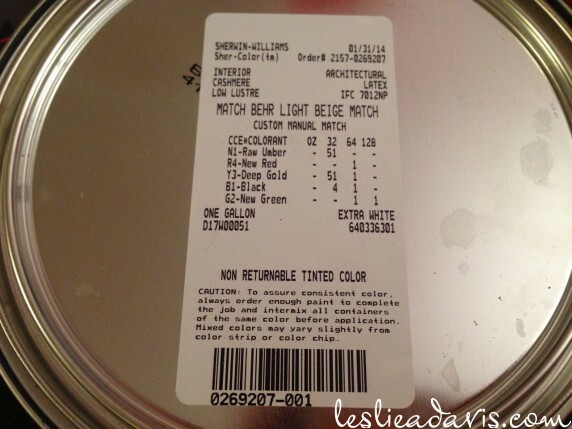 I took the living room/dining room paint (Gobi Desert by Behr) that was left by the previous homeowners to Sherwin Williams and had them color-match it in their Cashmere line. Side tables. For right now, I’m using a couple of tables that were drifting at the old house. I plan to thrift some new ones when I see something that looks like the right fit and feel. Table Lamps. One of the lamps used to be in our old foyer, the other was a spare in our old bedroom. Because we end up setting a lot of stuff on our side tables on a day-to-day basis, I’m leaning towards wall lamps to get them up off the table tops. Quarter Round. When I took out the corner bench, we realized the quarter round did not extend behind it. 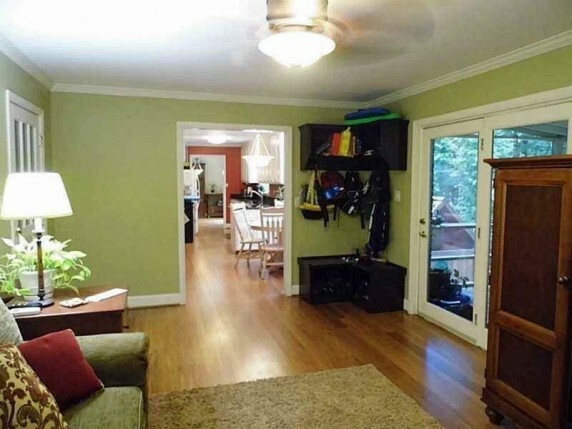 Luckily, Bradley got the stain color from the previous homeowners. 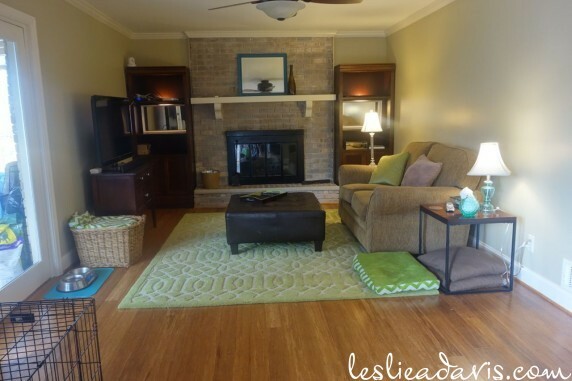 Brick Fireplace. 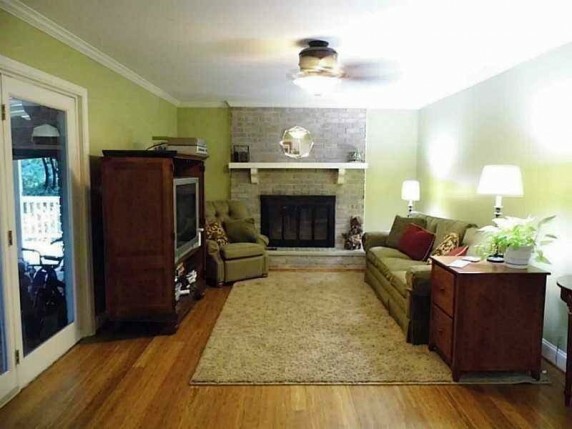 The brick on the fireplace isn’t horrible. I’m just wondering how it would look to white-wash or lime it. Door Hardware. The interior doors in the house are stained solid wood, which I LOVE. In order for the hardware to disappear into the doors, I have decided to go with Baldwin’s Venetian Bronze finish. That will come later down the road, but we did go ahead and switch out the deadbolts on the exterior doors. 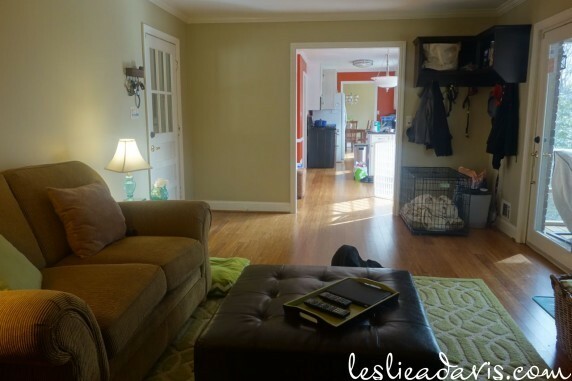 This entry was posted in Living Space, Our Forever Home on February 22, 2014 by Leslie.